When police went to a trailer park in Louisiana to evict Daniel Ballard, they found a malnourished 14-year-old boy who weighed only 60 pounds and had untreated infected injuries on his arms and foot. The trailer’s conditions were filthy, and had no food or running water. 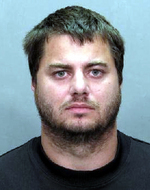 Ballard claimed he was homeschooling the boy, who was his son. Both Ballard and the boy claimed the boy’s injuries had natural causes, but Ballard had not sought medical care for them. The boy was returned to his mother, who lives in Arizona and had sent the boy to live with his father several years before. Ballard was arrested for cruelty to a juvenile.